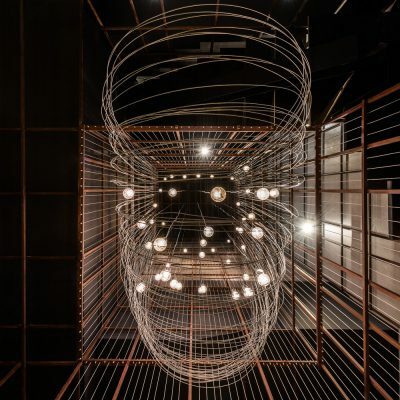 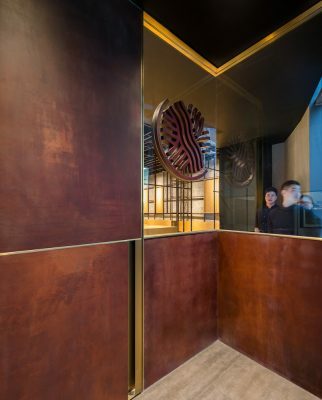 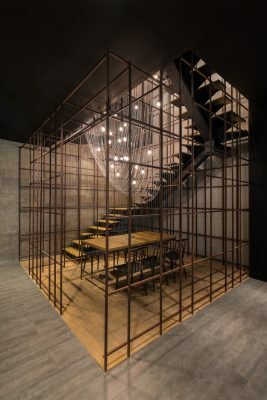 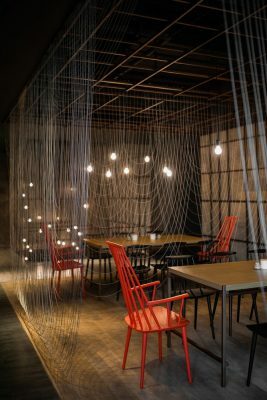 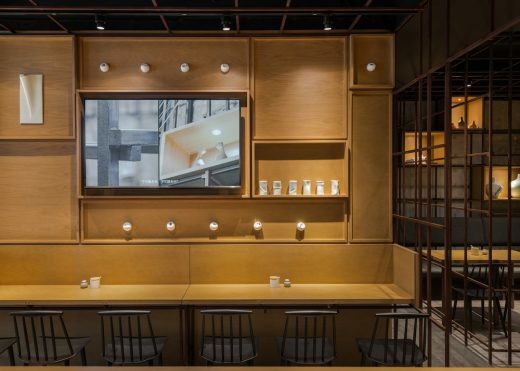 Based on the original “noodle rack” concept, Lukstudio has created a layered experience at the Longxiaobao flagship restaurant in Beijing where dining areas are shaped by multiple steel frames and wires. 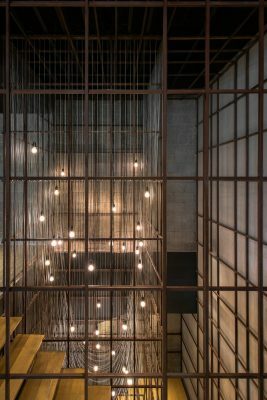 The journey begins with a composed foyer where two windows frame the views into the kitchen on the left and the dining space beyond. 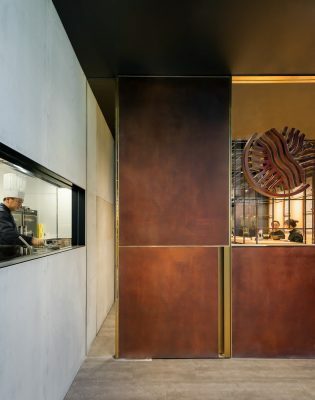 Walking pass the main door finished with rusted steel and copper plate, one is presented with three volumes. 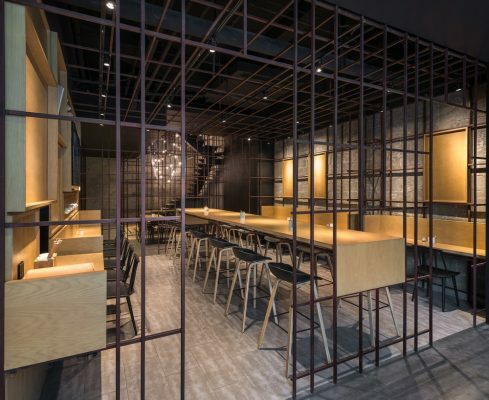 Though a consistent palette of exposed cement wall, rusted-metal frame, wooden tables and display boxes has been applied; three different dining ambiences are created. 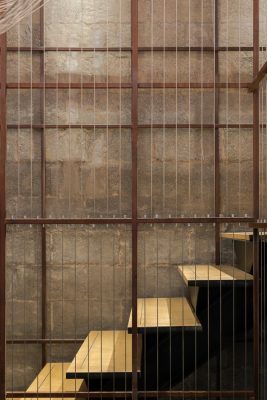 The first rack has a canteen style with 3 rows of long tables and serves well the busy white collars. 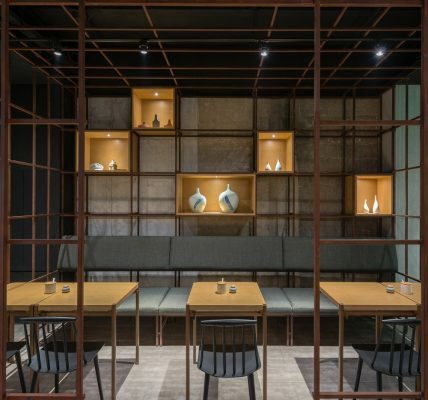 The second rack is equipped with banquette seating and tasteful china decorations; it entertains those who take time to savor their meal. 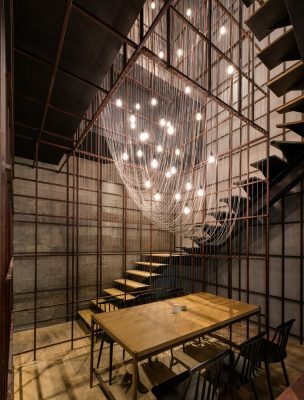 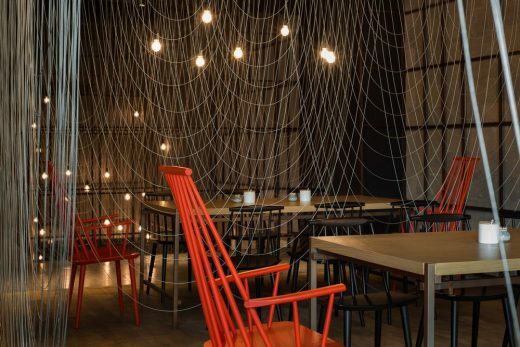 In the third rack that embodies the double-height stairwell, one special table gets to enjoy closely the visual anchor of the restaurant: the signature “noodle” pendant.